Over 350,000 Yoshino cherry trees, 10-days filled with festive activities, and endless opportunities to snap the perfect shot for your Instagram. The International Cherry Blossom Festival, happening March 22 - 31, makes for the perfect backdrop for your next post. Here are some of the most Instagram-worthy Cherry Blossom Festival spots. Carnival rides and classic fair food make for a picture perfect moment. The Amusement Ride Midway is happening throughout the 10-day festival and is fun for the entire family. It&apos;s Wednesday, but I&apos;m just now getting into the swing of things...Who else had trouble adjusting to the time change? Gourmet food trucks, anyone? Food truck mania is happening March 30 - 31 and you don&apos;t want to miss it. You can have your food and pose with it too. During the festival, fountains in the downtown area turn pink! It&apos;s a great spot for a photo-op. The storefronts in Downtown Macon celebrate the pinkest party on Earth too. Jean and Hall Florists, pictured below, is no exception. 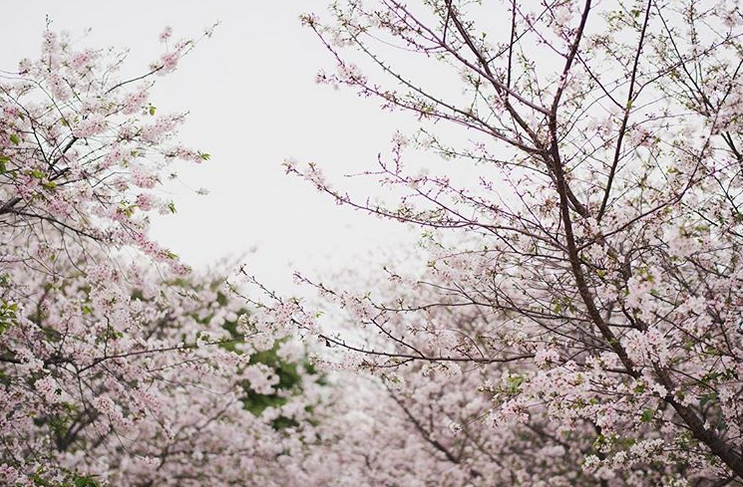 With over 350,000 Yoshino cherry trees to choose from, a shot of the beautiful blooms we&apos;ll definitely result in likes on your Instagram. Follow us on Facebook and Instagram to see stunning photos of Macon and to keep up with what&apos;s going on in the city. Use #WhereSoulLives, #VisitMacon, and #PinkestParty for a chance to see your photo on our Instagram.